Who inspires mom? Does her own mother serve as her main guide to be the best she can be? According to data from The Research Moms, it turns out that the mother-daughter relationship is a little more complicated than you’d think. While many moms may be influenced by their own mothers (good or bad), when we asked mothers to tell us which woman in their lives inspired them most, only 36% said their mothers. There are differences among age, however, with 44% of younger moms, age 18-34, choosing their mother, compared to the 31% of moms age 35 and older. What would this number have been just a generation ago, when more women chose to stay home, as their mothers did with them? These women may have looked more to their own mothers for inspiration. With over 60% of the sample made up of working moms, there are clear differences in how stay-at-home and working moms responded. Forty-two percent of stay-at-home moms said their mother, compared to 34% of working moms. So who else does mom seeking encouragement from in the circle of women she knows? The data shows that moms find inspiration in many different types of women in their lives. Twenty-two percent said it was a friend who encourages them, whereas 13% turn to other female relatives (e.g. sister, aunt). Seven percent look up to a colleague, and 6% said a teacher. So, where else does mom go for inspiration? To find out, we then asked mothers to name the female celebrity or public figure who inspired them the most. Which type of women did they choose? They named women who wear multiple hats – much like moms do today. They chose actresses, talk show hosts, producers, philanthropists, public speakers, politicians, activists and humanitarians. More than four years since The Oprah Winfrey Show went off the air, Oprah’s influence remains high. So, why is she still so inspirational? With ten years on the Time 100 list and a Presidential Medal of Freedom for her philanthropy, it’s easy to assume it’s because her accomplishments and influence are lasting. But, for mom, perhaps it’s really the perseverance Oprah has displayed on her way to the top, even after struggling through a difficult and abusive childhood. Or, maybe, it’s the close relationships she has maintained with her friends, like the 30+ year friendship she’s had with Gayle King. 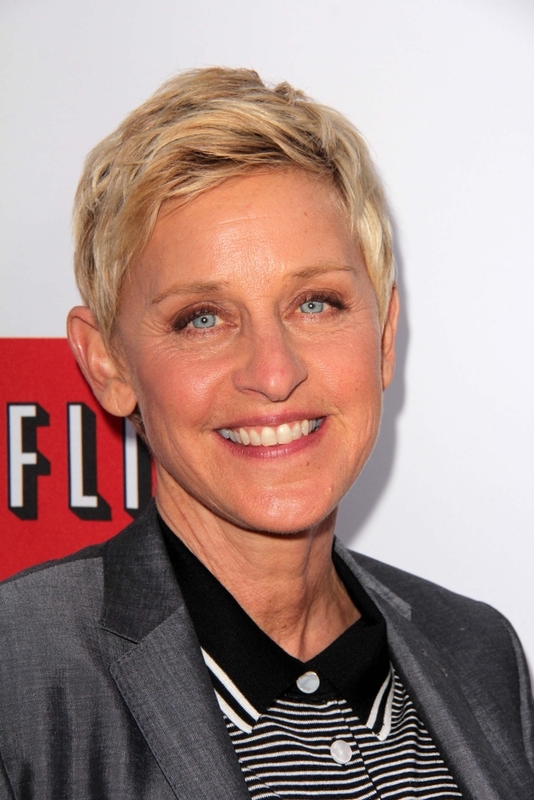 Every weekday afternoon for the last ten years, Ellen has danced her way out on to her talk show stage. What lessons does Ellen impart for mom? 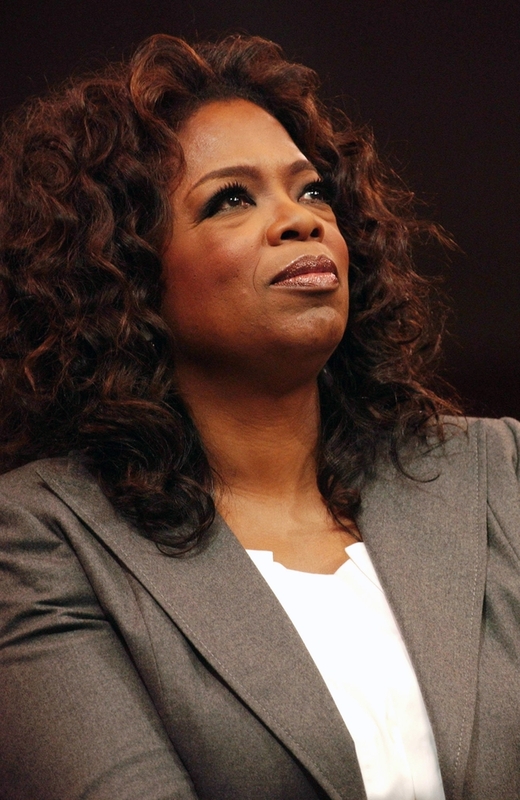 She’s never been afraid to be herself – coming out to Oprah (#1 on our list!) as TV’s first openly gay star. And, while her show rarely focuses on hard-hitting global issues, moms tune in because Ellen has an incredible ability to inspire her fans, without taking herself too seriously. And how can moms not smile and think of Ellen every time one of their kiddos watches Dory in Disney’s Finding Nemo. With adopted children from Cambodia, Ethiopia and Vietnam and three biological children (including a set of twins! ), Angelina Jolie sounds a little bit like super mom. While many mothers may be jealous of her lucky-lady status as the other half to Brad Pitt, Angelina has never needed Brad to make headlines. Aside from being fiercely committed to her job and her many philanthropic roles – like Special Envoy of UN High Commissioner for Refugees – she is frequently photographed setting aside time for fun with her family. Rounding out the top ten were Hillary Clinton, Jennifer Aniston, Mother Teresa, Michelle Obama, Beyoncé, Jennifer Lopez and Sandra Bullock. From the ladies they connect with in their everyday lives, to somewhat larger-than-life celebrities, it’s clear that mothers seek inspiration from many sources. The Research Moms conducted a national online survey of 540 mothers with children age 21 and under in February 2015. School's Out (For the Summer)!